Happy 4th of July! 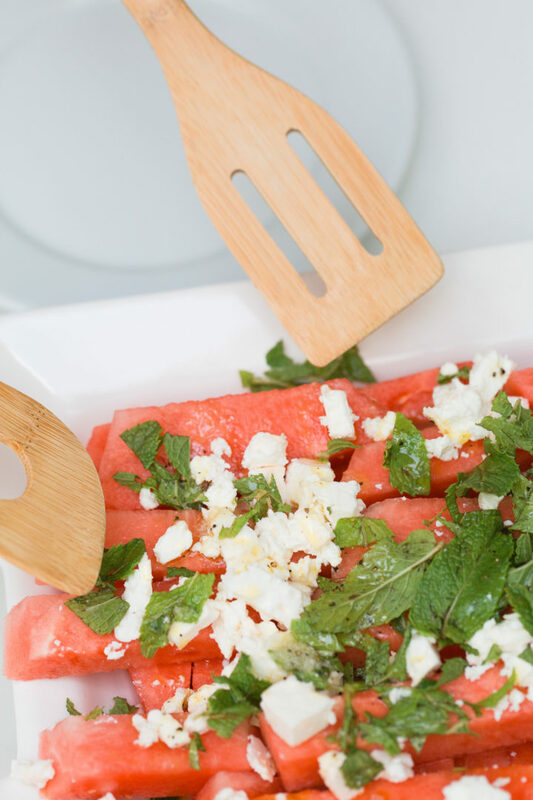 Watermelon & Feta Salad Should Be Your Go-To BBQ Side! Happy 4th Of July! 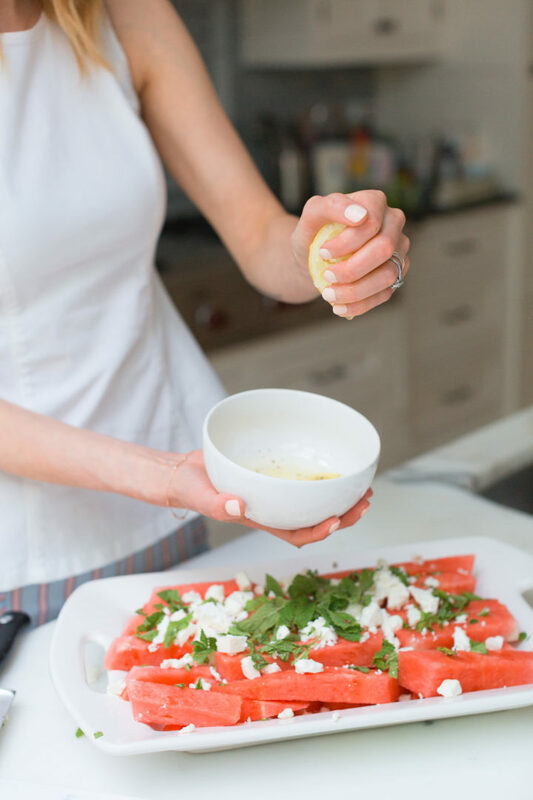 Whether you’re hosting or attending a barbecue today, this holiday is all about sharing great food with great friends. And simple yet delicious is the key! 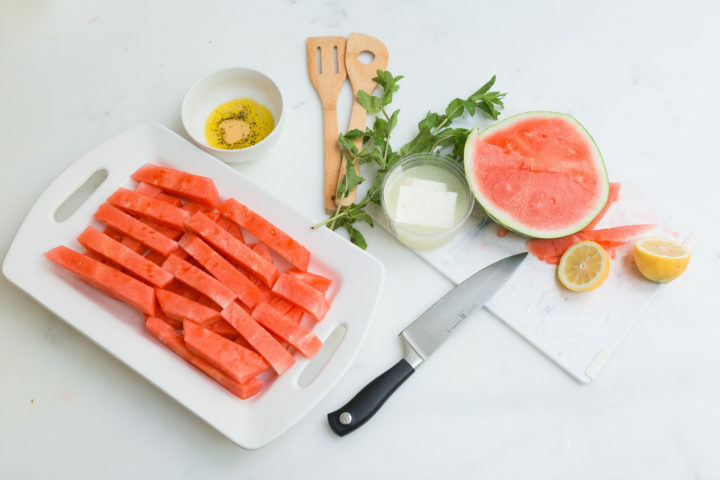 It’s been insanely hot in Connecticut recently, and all I’ve wanted to eat are simple, cooling foods. 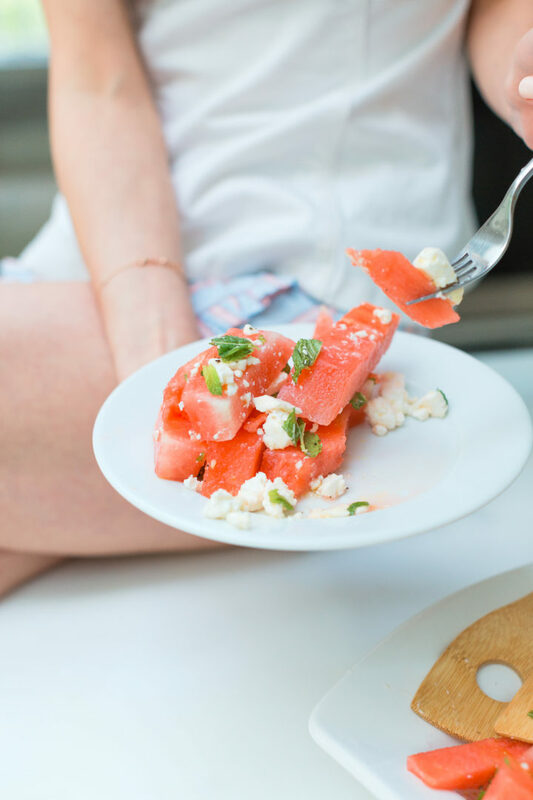 This Watermelon & Feta salad is one of my summer favorites, and I’ve been making it all week long! It’s also a great side to bring to a barbecue if you’re trying to think of something to contribute! 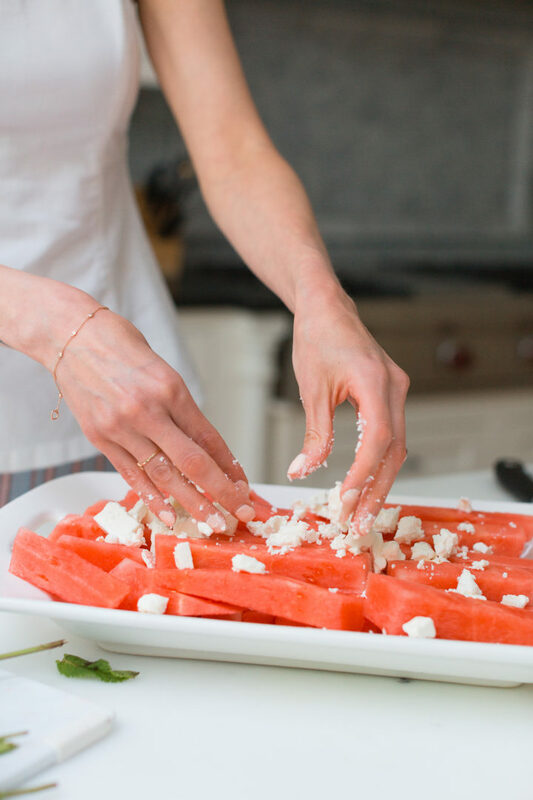 Just make sure if you’re transporting it that you keep the feta, mint, and dressing in separate containers until you’re ready to assemble and serve. 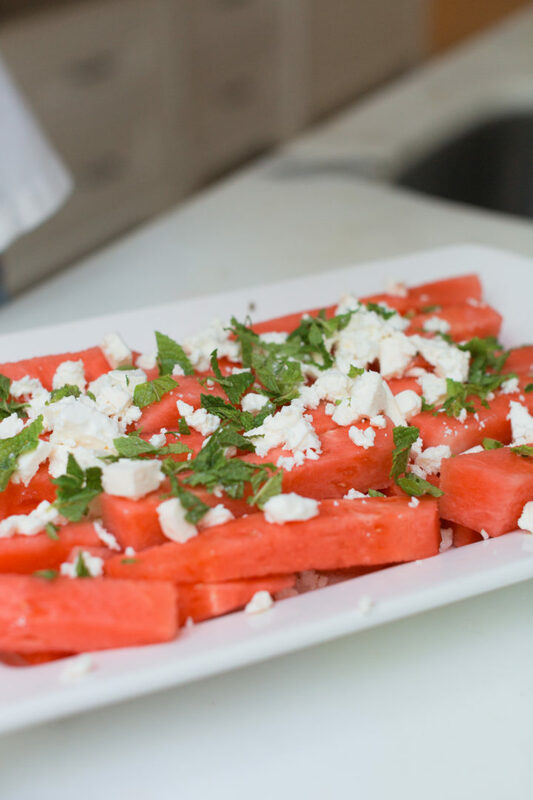 This recipe serves about 6-8 people and pairs perfectly with barbecue food! Begin by assembling the salad. 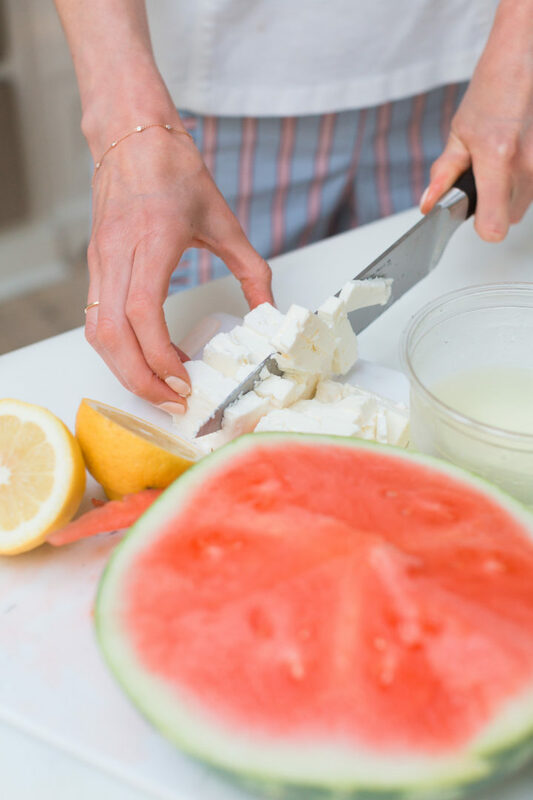 I like to cut stack the strips of watermelon because I find that when the melon is cut in to smaller pieces it tends to squish and break down more easily– and serving it on a platter is more attractive! 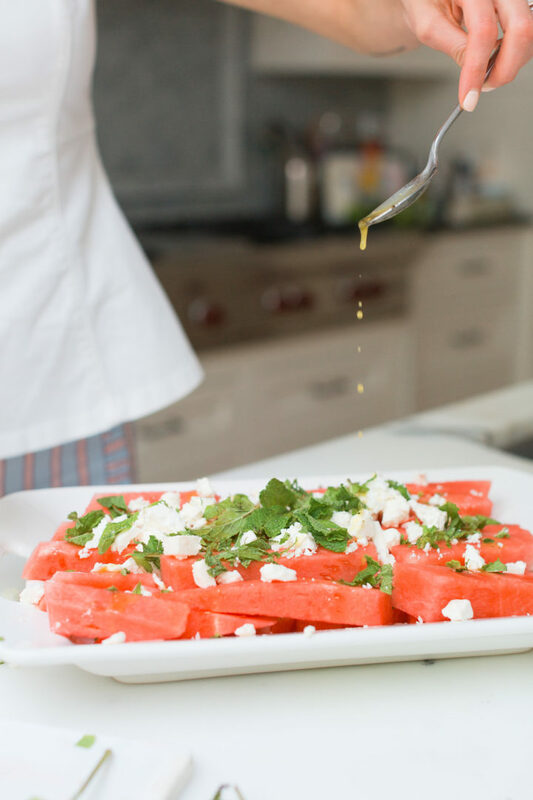 Next, scatter the Feta on top of the watermelon, and finish by sprinkling the mint on top. 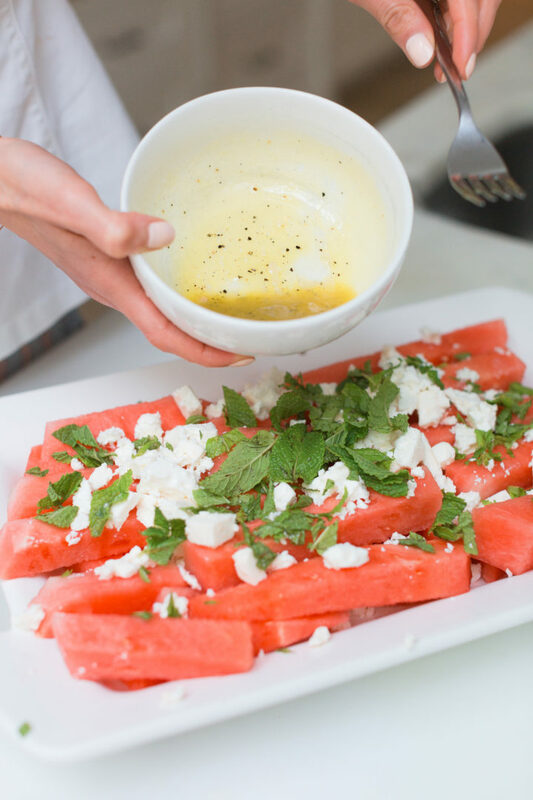 Mix together all the ingredients for the dressing, whisk until well combined, and drizzle over the top of the salad. Serve immediately! OMG!!! So cool and delicious combination! So greek !! 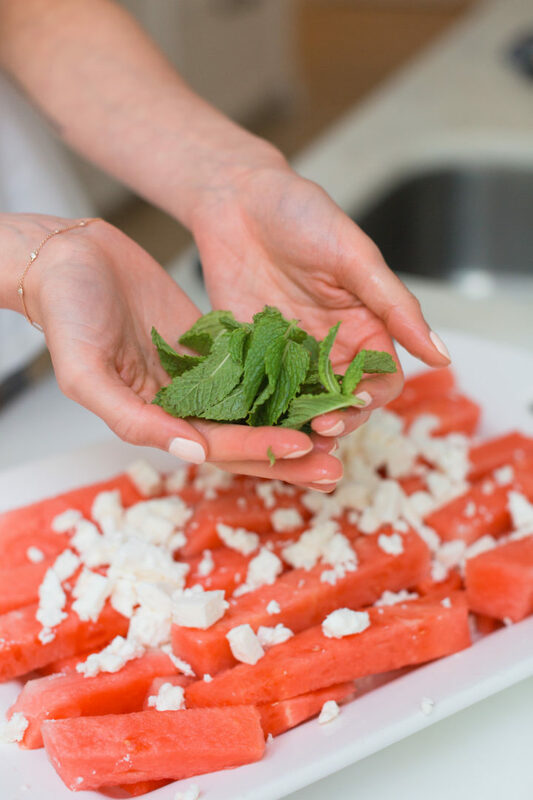 !😉 You’ ve reminded me of my childhood summers when my mum used to serve us this salad all the time (although without the mint leaves) and I had it in my mind almost as a faint old tradition! 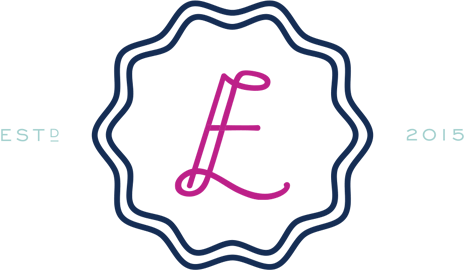 You’ ve inspired me to make it for my own family, good idea!